When is Italian Mother's Day? Ideas to celebrate the 'festa della mamma'. 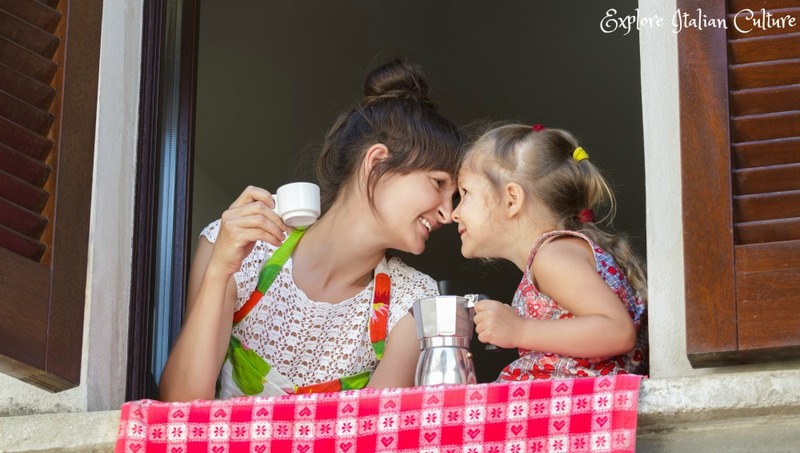 An Italian Mother's Day : ideas from Italy for celebrating the "Festa della Mamma". 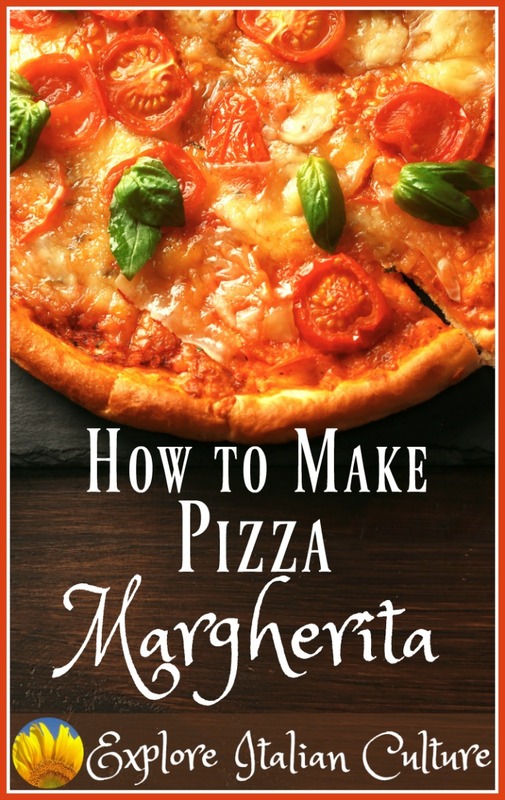 Do you have an Italian mamma? Or maybe your mother would just like to be Italian! 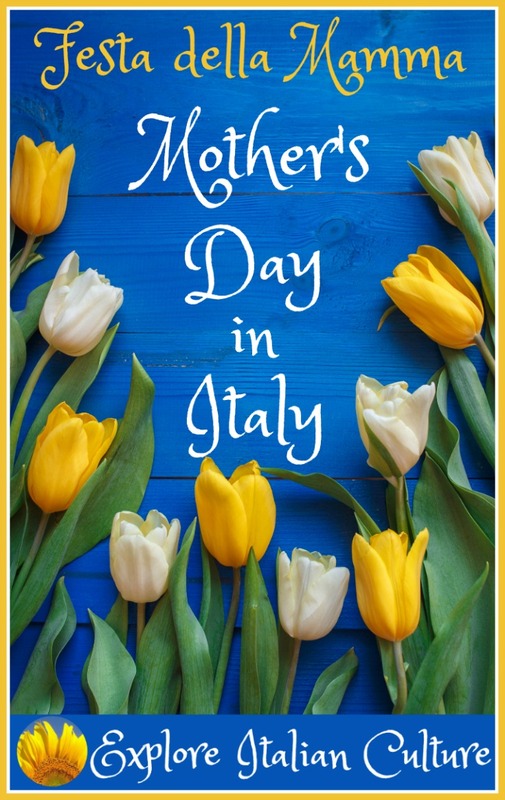 Whether she's from Italy or would like to be, whether she has Italian in her family history or she'd like to put down roots there - and wherever in the world she may be right now - here are some ideas for celebrating your mother - in Italian style! 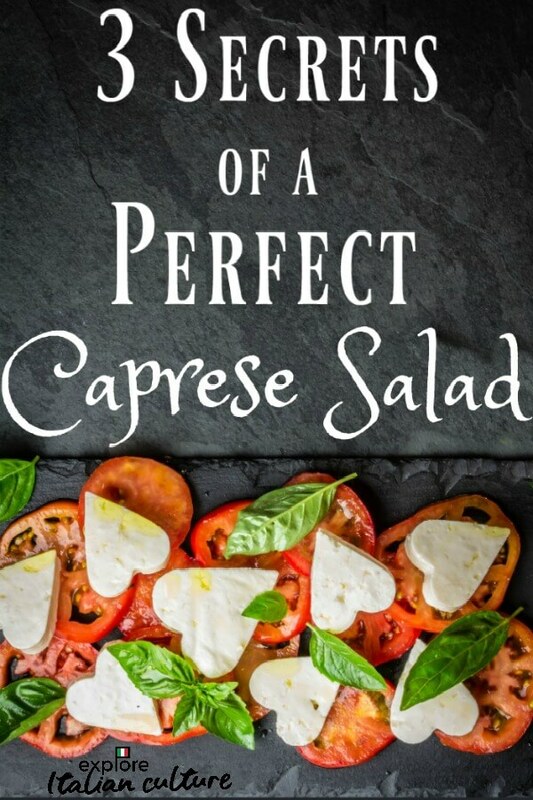 Looking for something to write in Italian for your mother? 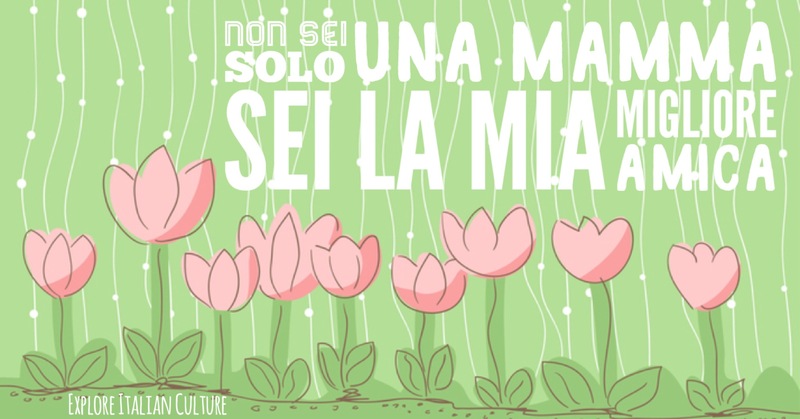 As you read through the page, you'll find images with typical Italian Mother's Day greetings. Feel free to Pin them for reference later, when you come to write your mamma a card - or even a poem! When is Mother's Day in Italy? Many stereotypes exist about the Italian mamma. What is certainly true, though, is that wherever in the world they may be, Italian mothers are still the main focus of the family and family traditions. 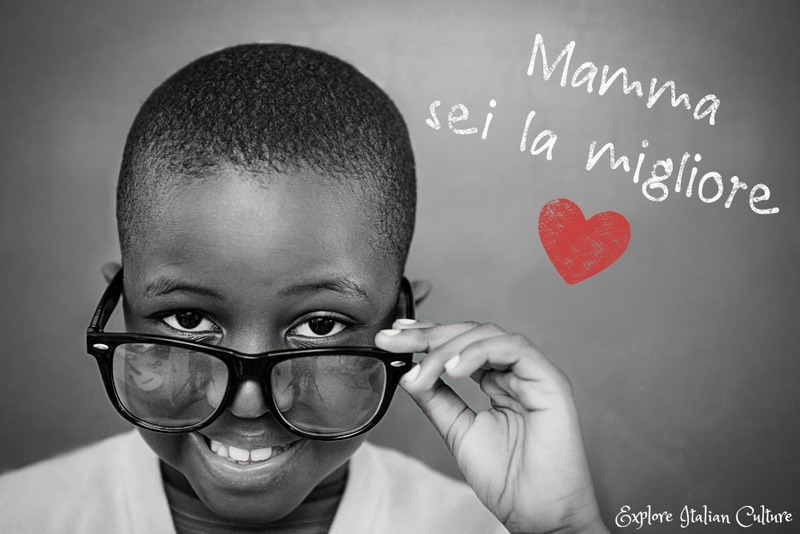 Although mothers are respected and appreciated all year round, the "official" Mother's Day - known as "La Festa della Mamma" - is celebrated in Italy at the same time as in the USA: on the second Sunday in May. It's not a public holiday, but it's certainly a time when families try hard to come together to celebrate. The history of Italian Mother's Day. Does it have its origins in ancient Rome? There's a lot of misinformation on the Web that the modern Mother's Day is rooted in ancient Roman culture. But although the Romans did pay homage to Juno and Cybele, their goddesses of motherhood and marriage, they did so earlier in the year - reflected in the current celebration of Mothering Sunday in the UK in March. There's no indication, though, that the modern Italian celebrations have anything to do with past ancient history. In fact, the very first "Mother's Day" was introduced by the Fascist regime in 1933 as "La Giornata della madre e del bambino" - the day of the mother and child - a tribute to all mothers bearing good fascist sons to perpetuate the regime. "You're not just a mamma - you're my best friend". There was an early tradition that Italian people should return to their "Mother Church", the giver of spiritual life, once a year. Families would descend on their own parish churches and afterwards, have a meal together before returning to their place of work. It's true that many mothers in Italy go to church on Mother's Day - it always being a Sunday. And of course, as a Catholic country Italy reveres the Madonna and child. 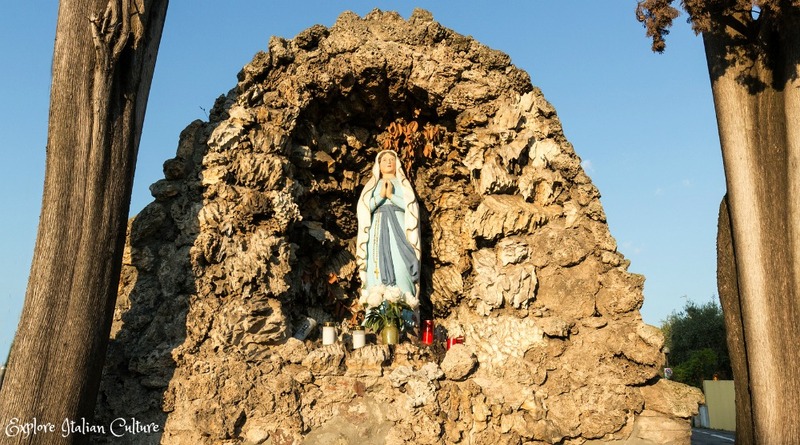 A wayside shrine at Lazise, Lake Garda - typical of many seen in Italy as a tribute to the Madonna. And in 1957 - 50 years after the institution of Mother's Day in the USA - a priest in the hill town of Assisi decided that the day should be used to celebrate women and their contribution to family and community life. 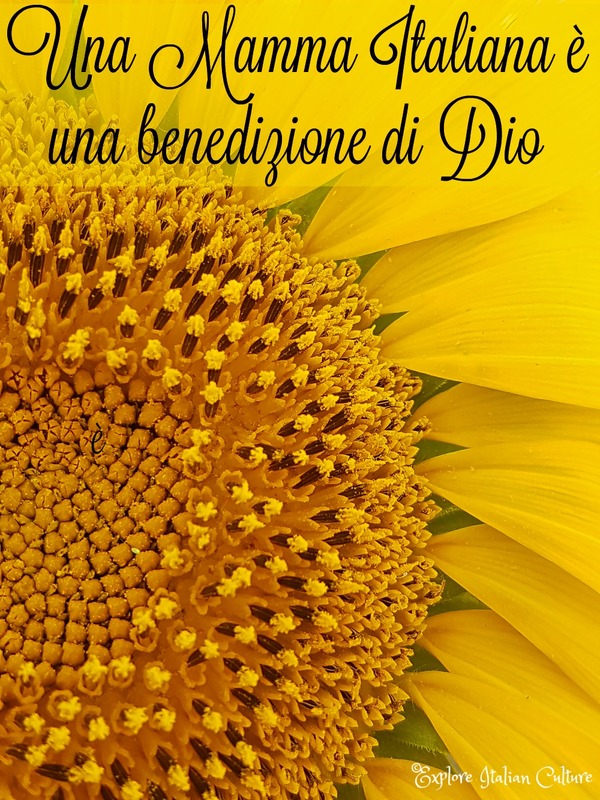 It was so popular that the following year, a petition was presented to Parliament and the second Sunday in May was declared officially "La Festa della Mamma". "An Italian Mamma is a blessing from God". The difference about Mother's Day in Italy is that it's not the big commercial production to be found in the US or the UK. You may find cards in some shops in the larger cities, but you won't find the kinds of massive displays of gifts everywhere. Instead, Mother's Day here is what it was always designed to be: a day for mothers to be both celebrated and cosseted. 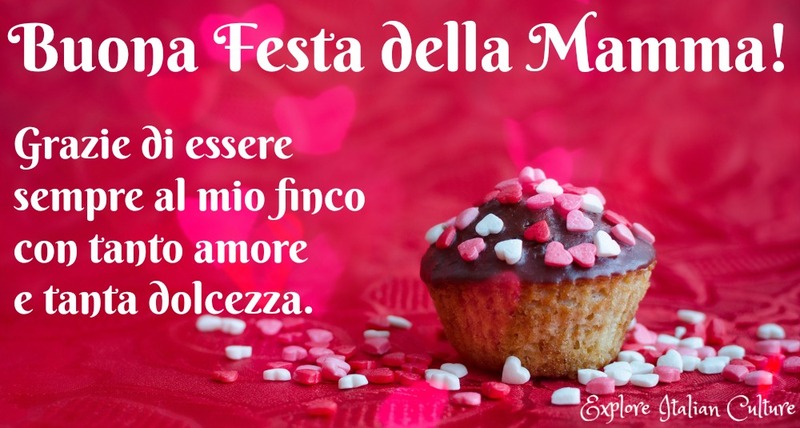 That's not to say it's not a big occasion though - it certainly is one of the most loved days in the Italian year, coming after only Christmas and Easter in importance. But the trappings don't matter. What matters is that it's a day when families come together from wherever they are to celebrate and look after their mothers. And everyone in the family, no matter where they live or what else they're doing, is expected to be there. So what happens in Italy on Mother's Day? The answer is - it's kept very simple. There's none of the great razzmatazz, it's simply a day for families to come together to enjoy each other's company and to thank the person who made it possible. Everyone who is able to returns to their family home. Those who cannot, most commonly because of work commitments, make sure they send a card, a letter or a poem. And if you can't get home a phone call is a must. In fact, Italian phone companies record their highest volume of calls around Mother's Day, as children young and old take the opportunity to express their appreciation to their mamma. The day itself centres around activities bringing the family together. In most families, though not all, mother is not allowed to do any housework or cooking on her special day. Breakfast will be made for her - generally fresh pastries and coffee. Young children will give usually home made gifts of cards and fresh flowers and it's a tradition for young children to write a poem in school, to be given on the day. Lunch will be held either in the family home or, increasingly, at a local restaurant. This has become the most popular day of the year in Italy to dine out. The meal is always rounded off with a sweet cake, sometimes in the shape of a heart but increasingly these days - cupcakes. "Happy Mother's Day! Thank you for being always at my side, with such love and such sweetness". How can you celebrate Mother's Day, Italian style? Firstly, forget the expensive gifts and cards. Cards are nothing like as common in Italy as they are elsewhere. If your mother would be hurt not to receive one, that's fine - but in Italy it's not a given. Secondly, make sure if you live away from your mother and you can't get home, that you call her on her special day. Don't raise anything apart from the fact that you realise how lucky you are to have her for your mum. Still thinking of those who can't get home, send a small token either in the post or by getting another family member who is going to see her to take something on your behalf. "There's just one day in which to remember who gave me life. And there are 364 days for me to make you proud of that gift. Happy Mother's Day!" A heart-shaped cake, or cupcakes sprinkled with hearts, is a common gift. How are your baking skills? If not great, try to find a local baker who could make one for you. If you live away from home but you can get to see her, do - even if it will take some effort. A surprise always goes down well! And if you live at home, or you can get there early in the morning, make your Mamma breakfast. A typical Italian breakfast would not be anything big - coffee, of course, and a pastry. Either cook, or reserve a table at her favourite restaurant and include as many family members as possible. And most of all, over-riding everything else - make sure to tell her you love her. It's what Italian mothers like best. "Mamma, you are the best!" 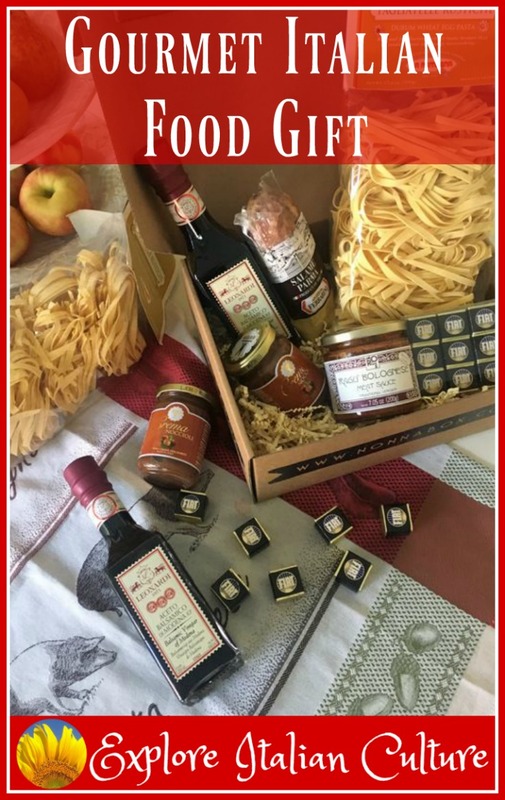 Here are some easy Italian basics for you to make your Mamma on Mother's Day - including a gift idea which gives you all the ingredients for a perfect Italian meal!